It's been said everyone is toxic. Your lifestyle can determine how toxic you are. Your body’s circulatory, digestive and urinary systems are constantly at work trying to remove these toxins. How well your body functions is also dependent on your lifestyle choices. The healthier you live, the better your systems function, the cleaner your body is. Acid waste collected in the body can lead to more serious health conditions. Drinking alkaline water daily can neutralize the acidity and wash acid waste products from cells and tissues. Alkaline water will help to cleanse the organs; particularly the colon. Hydrating your body this is the first basic way to maintain and regain optimum health. Water makes up between 45 percent and 75 percent of your weight. Keeping your body hydrated is vital for proper functioning. An easy way to tell if your body is hydrated is to examine the color of your urine. If you're hydrated, your urine will appear to be a very pale yellow--almost clear. If your urine is much darker, like the color of apple juice or tea it would indicate your body is dehydrated. 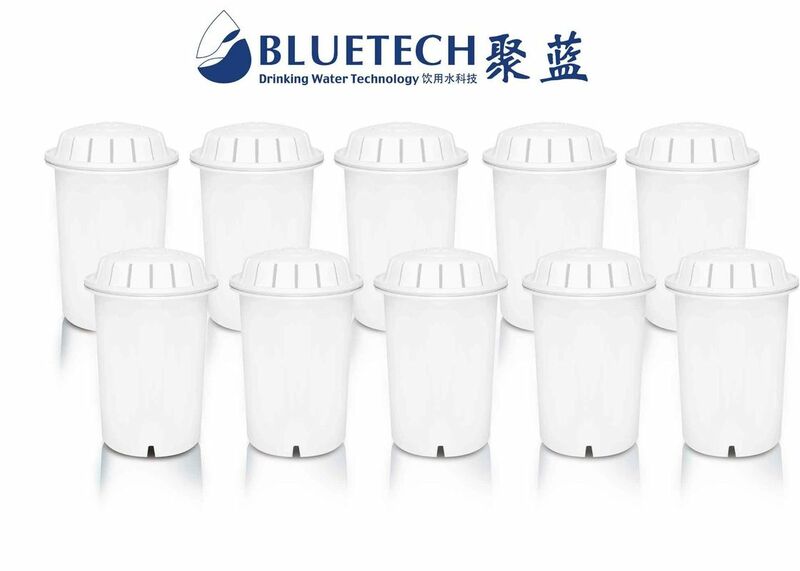 The Bluetech Filter Pitcher helps to make water more absorbable for your body. The Filter performs ionization of water into micro clusters that are more easily absorbed at the cellular levels. This helps “super hydrate” your body. Staying hydrated not only helps with your alertness, controlling appetite, and improving activity and sport performance, but it also keeps every day symptoms like fatigue, headaches, and dry skin, at bay. The Bluetech Alkaline water acts as an antioxidant. The antioxidants are in liquid form which allows for quicker absorption into the system. The benefit of alkaline water has anti-aging and anti-diseases properties. Alkaline water helps neutralize harmful free radicals. Alkaline water has the ability to give up electrons; it can effectively neutralize and block free-radical damage to your body. Ionized alkaline water seeks out free radicals and converts them into oxygen that your body can use for energy production and tissue oxygenation. The Bluetech Alkaline Water Pitcher helps balance the body’s pH, which tends to be acidic because of our high acid food diet, stress and exposure to everyday environmental toxins. You can help raise your body pH from acidic to alkaline pH with a simple glass of water. Cancer and many other illnesses cannot live in alkaline environments. Alkaline is the “normal” state of healthy people. The Bluetech Alkaline Water Pitcher can help enhance your immune system to help your body’s ability to fight off disease and heal itself. While cleansing your organs alkaline water also rejuvenates the skin and keeps it hydrated. It aids the skin in replacing tissues and contributes to its elasticity and the overall health of your skin. It helps the skin to look smoother and softer, contributes to a younger more youthful look. 2. What is your leading time? 3. Do you have alkaline filters? 4. Can you provide samples for quality testing?